Explore Croatia's national parks on this multi-sport adventure. Get 6 months to pay $1,199.00 with PayPal Credit! No payments + no interest if paid in full in 6 months. 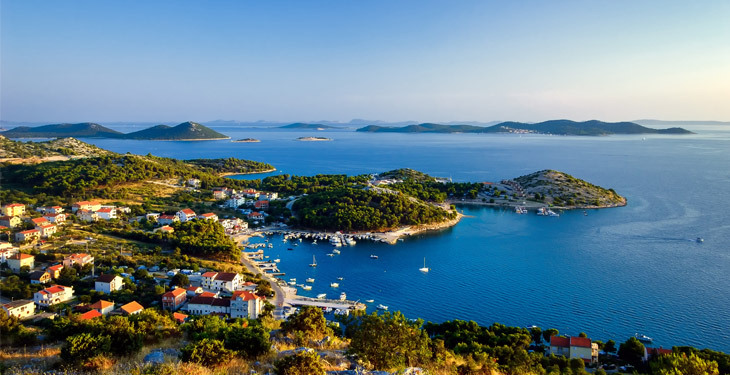 Explore Croatia's natural beauty and experience an unforgettable adventure on this 8-day multi-sport trip! 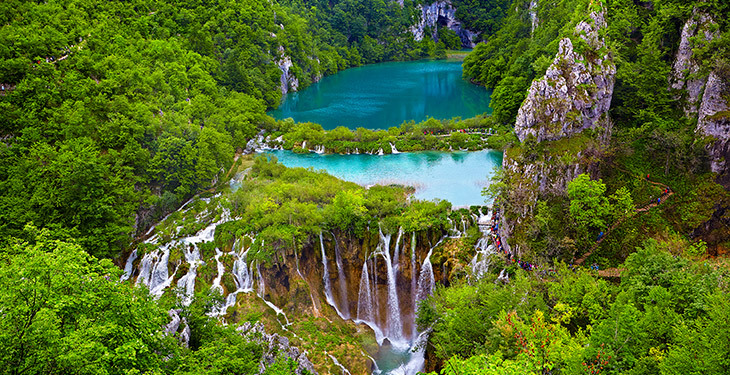 In one week you’ll get to explore four very different national parks: Plitvice, Paklenica, Krka, and Kornati. Spend your days hiking to beautiful waterfalls, biking through scenic mountain valleys, kayaking to hidden beaches, and swimming through crystal clear waters. Between tours, enjoy your private apartment accommodation in Murter, a beautiful island with beaches, surrounded by clear waters that are great for snorkeling. Rest in hammocks in the olive and fig garden or explore the local cafes and restaurants. On one of the days you'll learn how to prepare Peka, a delicious Dalmatian dish. You’ll get to know local people, enjoy local food, explore local customs and above all, have a good time. If you don’t feel like kayaking or cycling, you can opt to stay in town, at the apartment, or at one of the nearby sandy beaches. Arrive at the airport in Split and make your way to Murter Island (a representative from Jamming Adventures may be available to pick you up at the airport during a specific pick-up time, see FAQ for more information). Spend the afternoon exploring Murter before meeting your guides and the rest of your group in the evening. Start the day off with an early morning ride to the entrance of Plitvice National Park. The rest of the day is spent hiking and exploring the amazing maze of lakes and waterfalls. There are no words to describe the beautiful scenery, so make sure not to miss this day! Drive to the Bay of Podvrške, which is the starting point for exploring the outer side of the island of Murter. 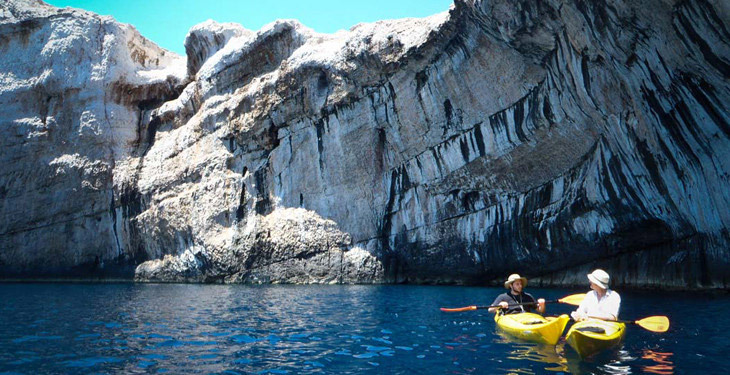 You'll then spend 5-6 hours kayaking and exploring the hidden beaches in the area. Enjoy lunch at a local restaurant with a sea view, and finish your tour in the Bay of Kosirina, where you can cliff dive into the bluest sea you have ever seen. Today will be spent exploring the cliffs and thousands of islands of Kornati National Park, with a stop at one of the islands for lunch. You'll travel by speed boat with a professional skipper, so you’ll be in safe hands. Along the way, take a break to swim in some of the cleanest and clearest seas in the world. Travel to Paklenica National Park and spend the day hiking around the park’s beautiful landscape. Enjoy panoramic views of the cliffs of Anica Kuk, Velika Paklenica Canyon, Jurasova Glavica, and Manita Pec Cave. If you’re interested in bungee jumping, this is the day for it! 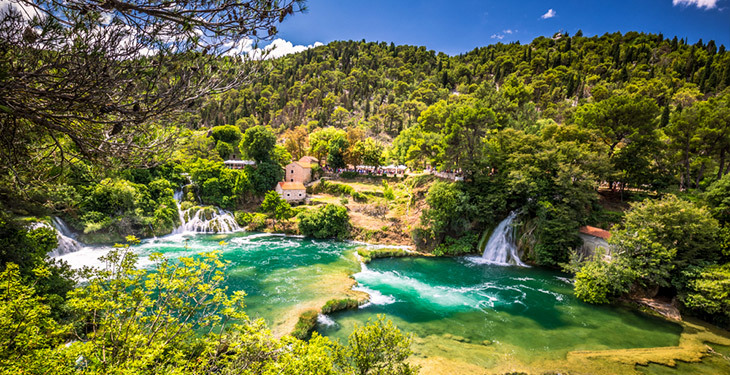 Today you'll travel to Krka National Park and explore its beautiful waterfalls. 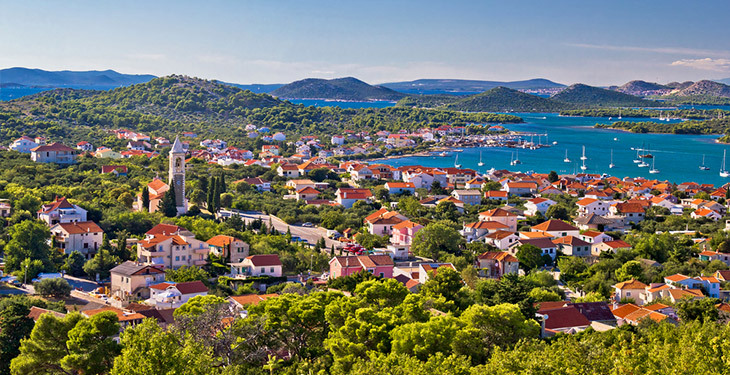 Bike in the valley, visit the Sladic Winery, and head to Skradin, where you’ll stop for lunch. After lunch, bike to the amazing waterfalls of Skradin Buk. Please note that swimming is not always allowed due to safety reasons. Today is yours to do with as you like. This is a good opportunity to visit the bigger cities (Split, Zadar, and Šibenik) near Murter. You can also choose to scuba dive or do some more kayaking or cycling. Please note that these activities are at your own expense and require a minimum of three people. Say your farewells to the island and transfer to the airport or bus station for departure. In case of unexpected weather conditions, the itinerary is subject to change in order to provide you with the best experience possible. We are a group of young and enthusiastic guys who wish to show you Croatia’s natural beauty, while sharing our passion for sport and adventure – promoting environmentally friendly tourism through kayaking, cycling, and hiking. 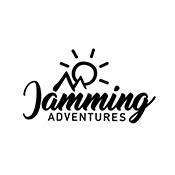 Jamming Adventures believes in having smaller, intimate groups, so their guides can give their full attention and support to their guests. This may range from basic instructions or skill improvement with kayaking or biking, to simply providing information on the cultural aspects of the tour. 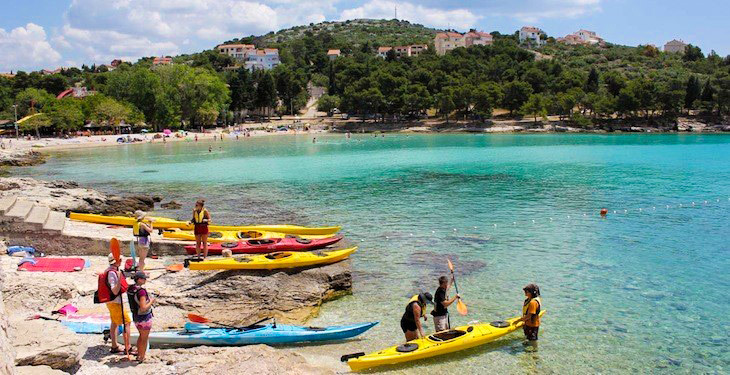 They offer a variety of tours, ranging from a one-week multi-sport tour to multi-day bike tours and day tours, which cover most of the major national parks in central Dalmatia. Their goal is to make your trip a relaxing and rewarding experience, from the moment you arrive until the day you depart. They pride themselves in going the extra mile so guests will experience a part of Croatia not seen by everyone, exploring the natural beauty of Croatia through sport and adventure. I had a great time in Murter through Jamming Adventures. Everything was really well organised, we were kayaking, cycling, and hiking in beautiful places every day. They have a van and we were traveling in the best spots in Murter. I didn't know Croatia before and I was amazed by the beauty of the Murter area. If any of you are considering traveling to Croatia, I can't say enough good things about the tour company we used, Jamming Adventures. I've never booked a tour before, but found these guys earlier this year and the excellent reviews and super reasonable price convinced us to give it a try. We were not disappointed. There's a reason this team gets all 5-star reviews. They really are that good. Our group of four had a BLAST on this tour. We did the 3-day, 4-night tour and were so happy with the accommodations, transportation, and our guide...and of course the scenery! Croatia's national parks are an absolute MUST. There is a minimum of two participants required to confirm each departure. Please do not make travel arrangements until you have received confirmation from Jamming Adventures. The best way to get to Murter is to arrive at Split airport, also known as Resnik Airport (SPU). There are connecting flights between Split and all major European airports. From the Split airport, Murter Island is approximately 1.5 hours away. Pricing is based on two people sharing an apartment with a kitchen, bathroom, TV, free Wi-Fi internet, air conditioning, and terraces with sea views. Apartments are also available that accommodate four people in two rooms, perfect for a couple with two kids or two couples. All apartments are classified as 3-star apartments in Croatia, which guarantees cozy and functional living space. The beach is less than a five minute walk from the apartments. Solo travelers will always get their own room with no additional fee. Tours are small with a maximum of eight people per group. You should bring shorts, t-shirts, sandals or water shoes, a swimsuit, sweater, light jacket, sneakers for hiking, sunscreen, and sunglasses. Breakfasts are included each day and lunches, dinners, and snacks are at your own expense. Jamming Adventures will provide a very rich culinary experience, from teaching you how to make Peka, a traditional Croatian dish, to taking you to restaurants where you can pick from a selection of items including fish, meat, bbq, and more. Gluten free, vegan, and vegetarian options are available as well. How much extra money should I budget for extra expenses? You can expect to spend up to $50 USD for all food and non-alcoholic drink expenses during the day. You may wish to bring more for souvenirs, tips, and optional activities. Are there any additional activities I can purchase? Yes, during the tour there are opportunities to go scuba diving, bungee jumping, zip lining, and other activities. Fees range from $10 USD for the zip line to $80 USD for scuba diving. Book confidently with Free Cancellations within 72 hours of booking. After 72 hours, cancellation fees will apply. Cancellations are subject to the full discretion of Jamming Adventures. For more information on our Travel Cancellation Policy please Click Here.